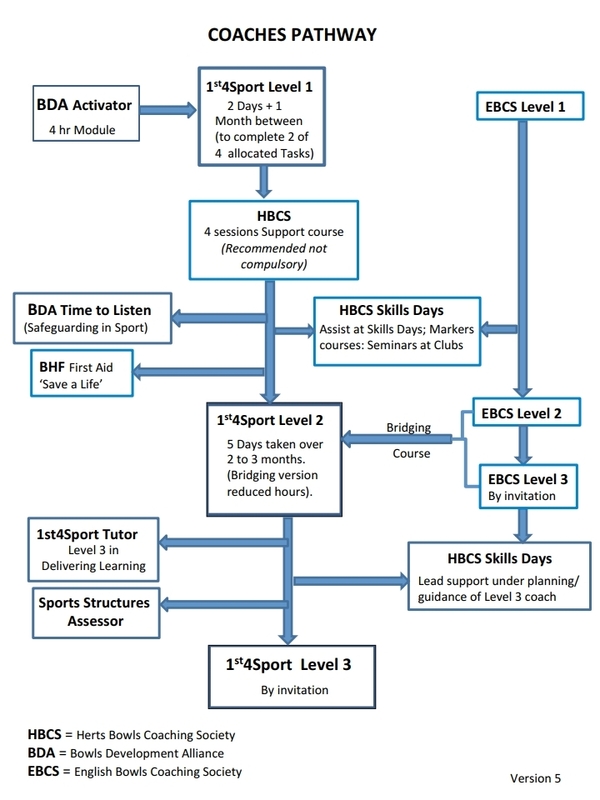 This flow chart shows the pathway for the development of coaches. For initial and subsequent recognised qualifications in bowls: 1st4sport (BDA): Can be booked on-line through the Coach Bowls Website For assistance contact Graham Marriner. For further development of your coaching skills: Contact Trevor Clark, Hon Secretary of HBCS, or Stuart Stamp, County Coach.